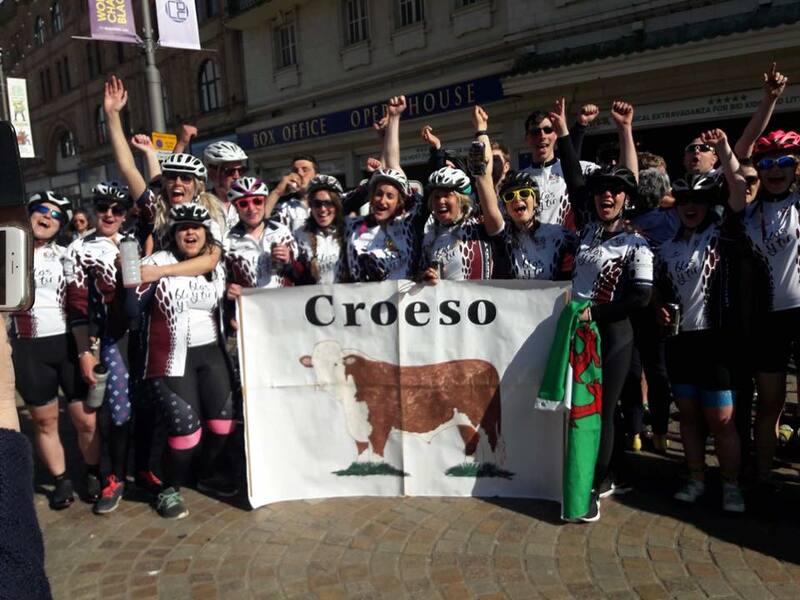 The team from Pembrokeshire Young Farmers Club, known as “Non’s Riders”, completed their Big Adventure on 4th May 2018. The event has so far raised over £16000 for Prostate Cymru, Wales Air Ambulance and Pembrokeshire Young Farmers with the final total still to be announced. Young Farmers Club County Chairman Non Thorne led the group of 27 cyclists. Non, from Tiers cross YFC, decided to take on a unique challenge during her year as Chairman. Elected as Pembrokeshire YFC Chairman in September 2017 Non wanted to create a challenge that would bring club members together, trying something new and raising money for charity, something the young farmers are a dab hand at. 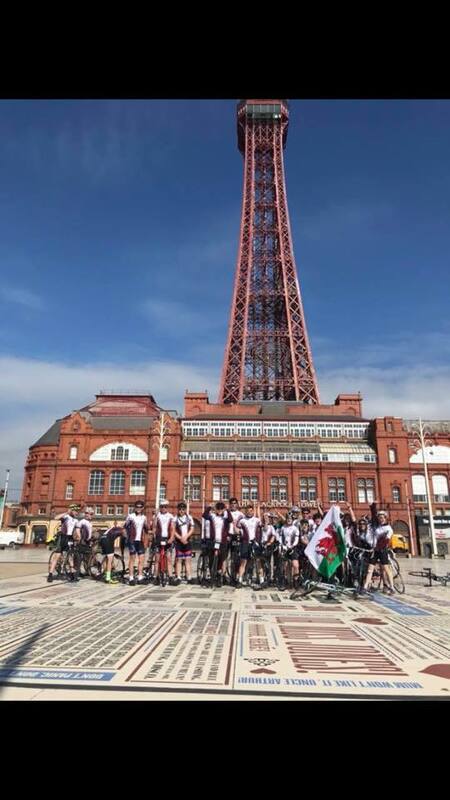 Starting in Haverfordwest on Tuesday 1st May after months of training and preparation, the team cycled an incredible 250 miles to Blackpool over four days via Aberystwyth, Oswestry and Liverpool in time for the National Federation of Young Farmers Clubs’ annual general meeting. 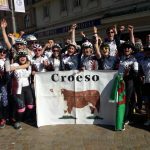 Following the cycle, Non said: “We’ve all been overwhelmed by the support; from businesses to friends to strangers on the side of the road who donated to us as we cycled. We can’t thank people enough.